All of the below information comes directly from job reviews written by Unilever employees based on 115 reviews. Be yourself. If you do not feel comfortable it is because it is not the right company for you. Weave the standards of leadership into every answer you give. Make sure you highlight what your motivations are for your role, function, industry and particularly why Unilever. What is it about Unilever that attracts you? In group exercises bring out everyone's natural talents don't just shout over the top of everyone to get yourself heard. This could reflect badly on you. Have some really good examples for why you want to work for Unilever and be prepared to show your passion. Use examples from all aspects of your life (not just focused on University). Research the company values. Sustainability is at the heart of everything we do - so you need a clear understanding on what the companies ambitious goals are! Keep up your energy! Ensure that you are enthusiastic throughout the whole assessment centre. If one section of the assessment centre doesn't go as well as you'd hoped (e.g. the case study) then forget about it and go into the next section (e.g. group activity) with a fresh mind! Really know the Unilever company and show why the USLP means something to you. Be yourself. You'll realise on interview if it's a company for you or not. Make sure you properly research the company and learn quite how large Unilever is as well as being able to say clearly and concisely why you want to work for Unilever. Ensure that you are clear on Unilever's SOLs (explained on the website). Review the Standards of Leadership and the USLP. Prepare scenarios from different areas (work, study etc.) for competency-based questions. Use the graduate blog and information on the Unilever website to help with your application. Start early and read up on the company. Pay particular attention to how you fit in with the company values and vice versa. Relax and enjoy yourself. Make friends with the other candidates as this will help you relax and they may well be your colleagues in the future. Standards of leadership for Unilever are very important - try and incorporate these in your application when possible. Be confident and calm - do not rant. Apply soon after applications open, normally around August/October as it is competitive and spaces fill up quickly. Use STAR format to answer questions. Have plenty of examples aligned to Unilever's Standards of Leadership (SOLs). Look to show the 5 competencies at all stages of the application process. Be yourself - making it to an assessment centre shows that you are well qualified for the role already. They now want to see that they can work with you. Familiarise yourself with the standards of leadership, core competencies, current market conditions and know your brands! Many of the questions are competency based so ensure you are familiar with these and answer each question with these in mind, to demonstrate your strengths. Know your Standards of Leadership. Show genuine concern for more than work. Be interesting, challenging and committed. All questions are shaped around our Standards of Leadership and Business know how - know our industry, our behaviours and our values. Understand Unilever's requirements and make sure you can show how you fulfil them. Focus on core competencies which can be found on the website. Also consider the approach to sustainability through the Unilever Sustainable Living Plan. At all stages show how you have been a leader / shown leadership qualities. It is no joke that they hire people with the aim that they will become company leaders within 10 years. Find out about competitors and Unilever's advantages over them, all of Unilever's work on sustainability, look at the Standards of Leadership. If you can understand what a brand is, not just in its physical form, but what the ambition of the brand name is, and what it stands for, you will begin to understand and have an insight into what Unilever is trying to do. If you can have an understanding of the brand and company ethos, you can help to expand on why that would be a good fit for you. You need to be able to share not just passion for the company and why you would want to work for Unilever, but also why you perceive yourself to be a leader of the future. The Unilever standards of leadership will be the main areas for all competency based questions, therefore ensure you have a range of examples to demonstrate competencies in these areas. Make sure you make a thorough but concise application but just as importantly, make yourself stand out. Be yourself - the recruitment process is very competitive and interviewers are looking for very specific things from candidates, and so there is no point trying to assume you know what these are and acting accordingly. Learn about the company's standards of leadership and values, especially around USLP. Ensure your answers to competency questions are well-structured, and respond to the standards of leadership. Be very focused towards the competencies and think of lots of examples. Know the Unilever Standards of Leadership. Know what's going on in the company. I was asked a lot of questions that gave me opportunities to show how my experiences had developed my skills in line with Unilever's Standards of Leadership. Do high level research, particularly around the USLP. Take a look at the standards of leadership and think about how you have demonstrated them. As above - think about competency based questions. Look into the function you are applying for and learn about it. Don't make assumptions as to what you will be doing, find out for sure! If you are successful in your application, you need to be sure that is what you want to be doing. Relax, the interview process is designed to not be intimidating, and if you are stressed/ nervous, this will come across. Go for it! The array of development options on offer and range of projects are some of the best I've worked on. Focus on why you want the role and what you can bring to Unilever and its sense of purpose and values. Think about why these suit you and what you can add to them. Think about examples for the standards of leadership. Do your research into FMCG and FMCG marketing. What are good brands and why? Think STAR (situation, task, approach, result) in order to structure answers to questions and make sure you know about Unilever's "standards of leadership" which are the key competencies you will be required to demonstrate. Know the industry well and make sure you're aware of Unilever's Standards of Leadership. Make sure you've had a good look at the Standards of Leadership; prepare for competency-based questions. Make sure you do your research about Unilever and our competitors. A career at Unilever is all about leadership potential. Make sure to get up to speed with the Unilever Standards of Leadership. Read carefully what the questions are asking, bring in your experiences (studies, societies, work). Supply Chain, in my experience, is all about problem solving and being as proactive as you can in that area and diving into the detail of issues. Aiming toward foreseeing problems before they occur and putting steps in place so they can't happen again. Get to the point succinctly and use facts/data wherever possible. Manufacturing will always be driven by Safety, Quality and Cost (in that order) so focus on these areas as much as possible. 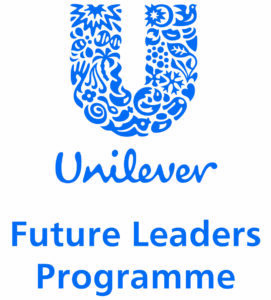 Tailor your application to the Unilever standards of leadership. Generic competency questions, they are looking for how you answer rather than all the great things you have done. Take time to think about how you say it, as that is more important. Understand the part, that the function you are applying to plays in the whole company and in relation to other functions. Be open and honest. Have a range of answers ready for compentency based questions. Take a look at the website and read up on Unilever's Standards of Leadership. Unilever constantly focuses on HOW their employees work and not just WHAT is produced. They will want to know more about this during the interviews. Look up the latest reports on Unilever. You should know the company you want to work in. Understand the standards of leadership (competencies) and show examples of all of them. Able to put up new ideas as well as be a team player. Think of times you have shown real leadership. Take the standards of leadership seriously - these are what we abide by. Think about how your examples fit into the standards of leadership. Be clear on your CV, make sure that you are able to communicate your passion for the role you are applying for. Always wait for interviewer to finish before speaking. It is important to take note of the interviewer's name, so you could thank him/her personally after the interview. Think before answering any questions. Ensure that you get an understanding for Unilever as a company, its strategy and its culture. It is a very large organisation, so things may take time. This isn't negative, but to manage expectations. Make sure you know and can reference your own examples of demonstrating our Standards of Leadership. Pick out key examples that demonstrate our standards of leadership. Interview questions are usually competency based, so it is important you show the interviewer the impact YOU made in your examples. Understand and give across your passion for the company and its mission. Make sure your application shows your analytical ability and grasp of facts. Use this to structure your answers to, 'Give an example of'-type questions. How do you display the Standards of Leadership? - Research, research, research. Don't apply unless you know everything about the company! - Don't stress too much about grades etc, it's more about your ability to answer their questions apropriately. - Talk about the USLP and its impact on you. - Remember than you are always being judged on competencies and key leadership characteristics. Be honest, any lies will be exposed at some point during the process. Use the website to look at what Unilever want. Really research the company's competencies and how you can demonstrate them. This is far more important than relevant work experience or degree type. Have in your head exactly why you want to work for Unilever that is specific to that company and not FMCG as a whole. Understand the challenges the industry is facing and how Unilever is attempting to overcome them. Be yourself, don't try to be someone else. Know the FMCG market and the areas in which Unilever plays in. Step up your business acumen. Competency questions: think long & hard about these and come up with lots of difference examples. Don't be afraid to challenge, or ask questions. Look at the standards of leadership as that is what you are assessed against. Lot's of 'tell me a time when you' questions so have real life examples ready. Be friendly, honest, explore times when you have developed a good understanding of others and benefited mutually from that development. Skills like logic, teamwork and bias for action are more important than numbers and grades. Work to a STAR policy for your competencies, try and come up with varied competencies, don't let your competencies be acheived just as an individual. Think about leadership and the standards of leadership listed on the website. To not be a shrinking violet. In Customer Development (sales) you need to be a strong communicator who makes their presence known within the team. Do not shy away from opportunities that come your way and ask for feedback when you need it. It is such a cliche but it is important to be 100% yourself in the interview. At the end of the interview I was thanked for having a sense of humour and for smiling throughout the session. All the interview questions are based on the Standards of Leadership that can be found on Unilever's Careers website. It is crucial to relate all examples back to these standards. Show your passion for brands and that Unilever sets itself apart with giving graduates real responsibility from the start. Why Unilever over anywhere else? Unilever want to hire people who show commitment and passion. Demonstrate your passion for the company and our brands, giving solid reasons for why you would want to apply for your chosen business area. Be yourself! Have a strong interview technique, for example using the STAR method. Relax and be yourself. Come well rehearsed with a range of examples to demonstrate your competenices - also check out our 5 Standards of Leadership. Make sure to read the Unilever Standards of Leadership, our key competencies. You should shape your application form and interview answers around these, giving good relevant examples. Be specific and make sure you explain why Unilever is right for you and why you want to work for them above competitors. Times when you have shown leadership potential. Times when you have solved a problem. Times when you needed to seek advice. I was asked to give multiple answers based around key competencies. Answer any questions in the STAR format (situation, task, action, result) and give examples from a range of activities you have taken. Make sure you explain why Unilever AND why your business function. For the numerical and logical reasoning tests do lots of practice beforehand. Make sure you have researched the company and your chosen business function and can talk about why you chose them. Have examples prepared for when you have demonstrated Unilever's Standards of Leadership, again in the STAR format. For the case study split your time equally between each task and don't panic! It is designed to be hard and for you to be pushed for time. Be confident in the decsions you have made - it is likely the person you are presenting to will play devil's advocate. Make sure you speak up during the group task. If you disagree with someone do so in a constructive way. The selection day is nowhere near as daunting as it would seem. The managers interviewing you want you to do well and will encourage answers out of you. Try not to be too nervous, smile and enjoy it! Do your research on the business, think carefully about how your experiences matches up to the core competencies being sought in the application process. In this role you have to be resilient, determined and ready to fight your corner. It is important that candidates are confident that they have these qualities. This is not a company for "Shrinking Violets" which suits me but it may not suit everyone. It is an old cliche but candidates must be themselves. I received feedback that I demonstrated that I had a good sense of humour throughout my interview and I believe that characteristics like this, show whether someone would like to work with you. Make sure that you thoroughly understand the "Standards of Leadership" and that you apply all your life/work experiences to these qualities. Prepare to be mobile and understand you might be placed in a role where you will have little social interaction will people same age and same interests. Take your time. It is a really extensive application, make sure you sell yourself. You really must be yourself in interview, it is a two way process, and you need to ascertain whether Unilever is the right place for you too. Be open to unusual opportunities- Unilever has a vast array of roles which are not restrictive to applicants who have studied certain degrees. Be unique- share qualities about you which are the things that make you different, nowadays, anyone can have a degree and 6 months work experience. Think about why Unilever should want to hear more about you. Relax- it is a two way conversation, you should be assessing whether the interviewer is someone you could work with too. Be yourself- if you're not and you get a role, short-term gain but a long-term fail. Make them want to hear more- share interesting problems and how you solved them by using the qualities that make you unique. That way, they can't find anyone else like you. Understand the company, absorb the brands, look into the way Unilever is becoming one visible business. Be yourself. The company is very friendly, be nice, make sure you stick to your STAR regiment and core competencies. Apply as soon as possible because the recruitment is on a rolling basis. Be proactive, innovative... but most importantly, be yourself. Pay attention to the Standards of Leadership and think how your experiences show you apply them already in your life. Think your answers through so they give a real idea of who you are and get someone else to proof read it! You need to show real passion with regards to working not only for Unilever, but also in Supply Chain. Ensure it is the career you want to do. Be yourself, don't panic! Everyone who interviews you is so nice! Try to think of as many examples to demonstrate your competencies as possible, prepare! Be yourself, it is as much you trying out the company as they are trying you out. Demonstrate entrepreneurial skills and a desire to do good business. Relax, be your natural self and find a way to get on with the interviewer. Show your true colours and be proud and passionate in all that you have achieved so far. Don't shy away from talking about experiences that may not be 'work' related, talk about achievements that you have had otuside of work as well. If you have travelled, been to camp America or even just lead the organisation of a holiday with your friends - it all counts. Be yourself, Unilever employ as much for the personality as they do for the skills and experience that you can bring. Show your personality, energy and passion throughout the application process and if Unilever is right for you then it will all work out. Think about how your experiences have shown your personal skills. Everything we do builds talent - we just don't always realise it! Have an idea of what the company is about, what are its driving forces. Unilever has a keen environmental and sustainability drive that it is very proud of! Be yourself, Unilever want leaders so you need to show you are personable and well rounded. Make sure that you can demonstrate that you can work in a team - and make sure you enjoy it. In a company like Unilever, you have to be prepared to work with others. Be prepared, practice competencies and think consumer consumer consumer. Whenever having to think of or comment on business or product proposal - think consumer benefits first and foremost. Sell your experiences and personality, over academics. Unilever is an organisation based on people, and the right fit is very important here. Be confident, make sure you have a bank of situations prepared ready to show how you fit the standards of leadership, dont be afraid to ask questions - its just as much about making sure we are the right company for you! Don't feel as if you have to have studied finance or accounting before applying. What really matters is that you can demonstrate that you are interested in corporate finance and business partnering, and that you have analytical capabilities. Look at the standards of leadership and find examples of how through university and extracurricular activities you demonstrate them. demonstrate a willingness to work hard and be open to new learning experiences. Much of the interview is structured around the standards of leadership, so brush on up those! For the case study, I found that it was really helpful to practice consulting case studies from books such as 'case in point', as these provide a conceptual framework for approaching business problems. The case study is not about finance knowledge as much as it is about whether or not you can be confronted with a great deal of information and step back to see the big picture. Be happy, eloquent, and dress smartly! Think about the company ethos at all times. I was told I talk too much, which is true. If I could do my group interview again, I would take this into consideration and let others have the floor more. In my one on one interview this wasn't a problem. In differs from person to person so try to be aware of your weaknesses and not to let nerves get the better of you. I would also suggest reading up on and considering the company's ethos and ethical stance when answering senarios. Biggest advice is to get the application in early. It opens quite early and due to its competitive nature, in some functions all the roles are filled by November and it takes a good few weeks to get through the application form, online tests and telephone interview before the assessment centre. Really focus on the Unilever competencies and how you have demonstrated them in your life so far. Although academics and relevant work experience is important, people often forget about shouting about the attributes that Unilever is looking for. Make sure you know something about what each of the different functions in Unilever does and how they fit together, not just the function you are looking to apply for. This is really useful for the telephone interview. Be very clear about why you want to work for the industry, the company and the function. Do not panic if you do badly at one of the sections in the assessment centre, they take an average so just concentrate on the next exercise. If there is a group exercise it is important to talk and listen - do not be overbearing but do not be the quietest! Make sure you give yourself the best oppurtunity to get into the company by researching its values and mission, know why you want to work for Unilever. Look on our website, for further help. Be yourself throughout the process, Unilever will see your potential. Do your research on the company annd the function you are applying to. You need to make sure that you have a complete understanding of that function and why you want to apply to it. Also make sure that you bring out the best of your experiences, and use a variety of them. Not all of them need to be university-focused, they can be related to your travel or society experience. Ensure you give examples that show you as a leader, not one of many. Be honest about your experience, and apply as soon after application opening as possible. Stay calm, be yourself and speak up. The interviewer needs to hear your point of view. Do not put others down, but hold your ground until a decision has been made, then allign with the rest of the group and get the job done. Put in the effort with the application. It's challenging but worth it in the end. Use the STAR structure and make sure you have someone else check it before you submit. Always relate your answers to the Unilever core competencies and refer to these competencies throughout the interview process in your answers. Know what function you want to apply to and show a passion for it with strong reasoning for wanting to work in that area, but also show an appreciation of the multidisciplinary nature of Unilever.